Join the Eastern Chamber, CBDC, Island East Tourism Group and Rural Action Centre's as we Celebrate Eastern PEI Business's during the season. 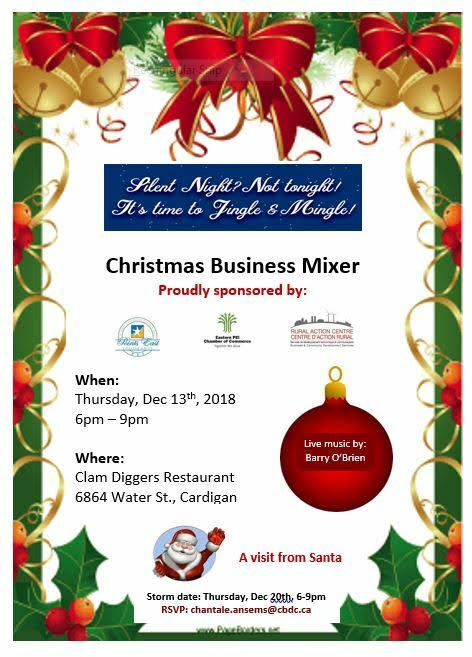 Enjoy cocktails and snacks as well as a special visit from the jolly ole man himself. Sure to be a fun time for all!